It’s not a contest, they say. Sure, we’re all winners. But in my competitive little heart, I know that spinning yarn is the very best craft, a better way than any other to spend your time. 10. Most fundamental post-apocalyptic fiber skill. 9. Most likely to elicit awe and amazement from onlookers. “The cure for boredom is curiosity. There is no cure for curiosity,” said Dorothy Parker. (I like that one way better than the one about the cats.) 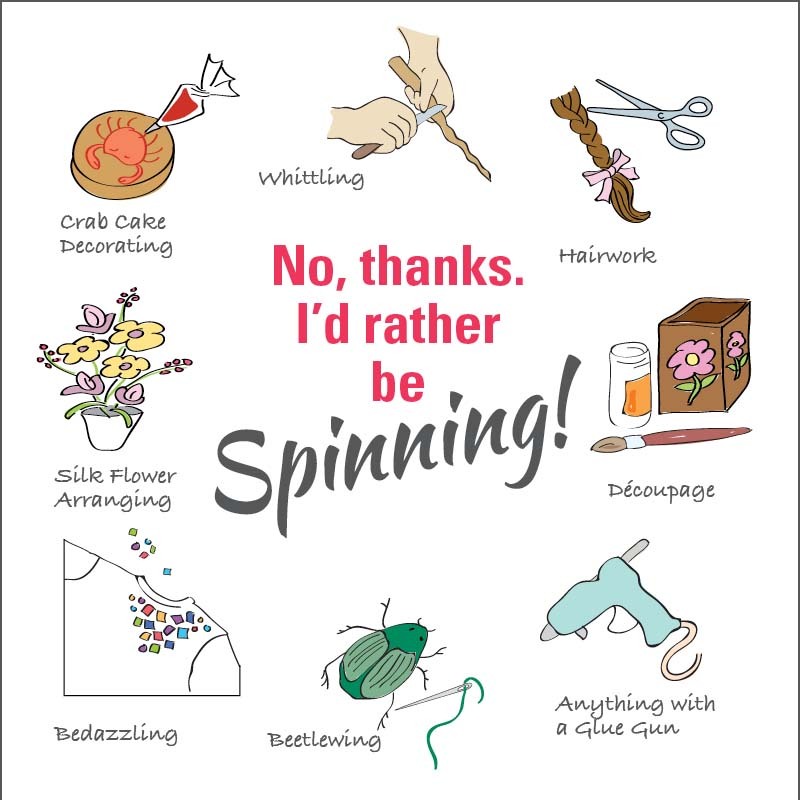 At some point, each of us was one of those onlookers, and we said something like, “I had no idea!” or “What makes it turn into yarn?” or “How do you keep it going like that?” Spinning is an excellent pursuit for people who wonder why. 7. You get exactly as much control as you want. Control freak? Get out the protractor and measure your twist angle; choose your fiber by micron count; check your control sample obsessively. Free spirit? Do what feels good; spin what you like; enjoy the process. (There are no spinning police.) You still get yarn. 5. Infinite reasons to spend time with cute wooly animals. 4. Most possible pleasure from your craft project. Some people tell me that they won’t learn to spin because then they’d have more yarn. This is like saying that you can’t win the lottery because then you would have more money. We like yarn. It’s our favorite. And handspun yarn is way nicer than even the most precious artisanal small-batch millspun yarn. Which leads to . . .
2. Perfect complement to any other fiber craft. We spinners are all winners, but until March 30, 2017, you have a chance to Win Your Wishlist. Pick out a bunch of things to satisfy your curiosity, find a new use for your yarn, and even line your stash with some new awesome fiber, and at the end of the month you could win it. 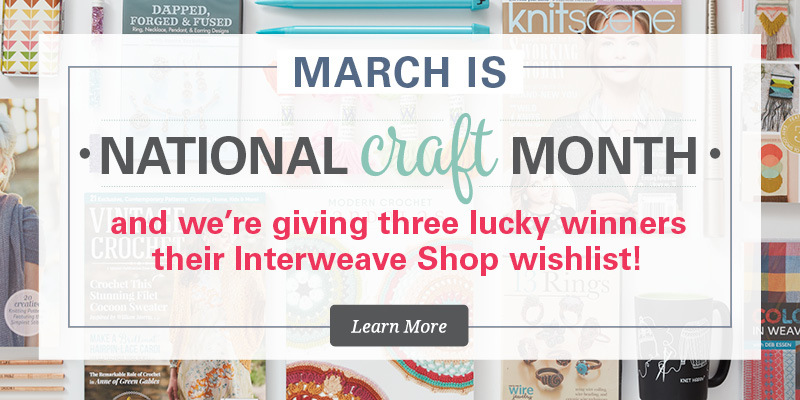 It works for any of the crafts that Interweave serves, but I really want a spinner to win. Or three spinners. Explore spinning resources in our shop!